“There is more hair on my bathroom floor than on my head” cried the young woman in my clinic the other day. This is a common complaint that most dermatologists are hearing. 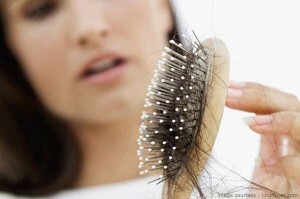 The causes of hair loss in women is a combination of complex problems related to diet, general health, hormonal issues and lifestyle. What diet should I follow to prevent hair loss? Include a diet rich in proteins, after all proteins are the building blocks of hair. Add portions of dal, lentils, soya, yoghurt, mushrooms, egg whites, fish and other lean meats in your diet. Add generous portions of green leafy vegetables and foods containing omega fatty acids like walnuts, fish and sunflower seeds. Consume 8-10 glasses of water, and do include exercise as part of your regular regimen. Is my hair colour causing my hair fall? Hair colouring is a procedure which uses chemicals to introduce colour into the hair shaft. 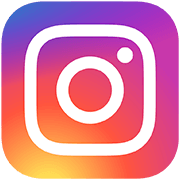 Nowadays, hair colours are becoming safer to use, as they contain lesser chemicals, and are less traumatic to the skin and hair. Choose wisely in an Ammonia free, low PPD containing hair colour. When you choose to use a hair colour lighter than your natural hair colour, the hair needs to be bleached, before the lighter colour is applied. This process damages the cuticles of the hair shaft, making the hair more brittle. Do not indulge in such hair colours repeatedly as they could lead to hair shaft damage, and breakage. Why do I have hair loss after pregnancy? Upto 40 % of women experience moderate to severe hair fall within 3 months to six months of having a baby, this condition is called chronic telegen effluvium. This condition is due to the sudden change in the hormones from the pregnancy state to the non-pregnant state. 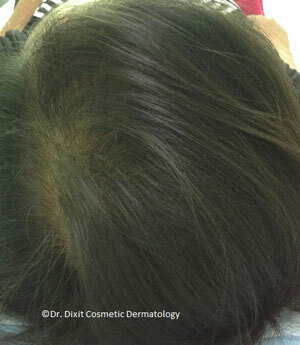 This sudden withdrawal of hormones causes an increased hair fall. This condition usually returns to normal within the next few months, and does not really need any additional treatment. However, in some rare cases, the hair fall persists, and may lead to other conditions like chronic telogen effluvium which lead to balding. 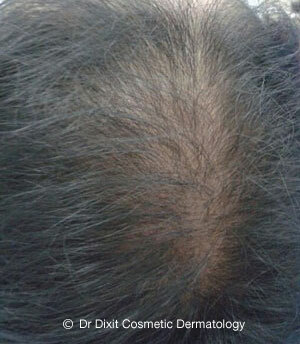 Consult Dr Rasya Dixit today if you feel your hair fall is excessive.